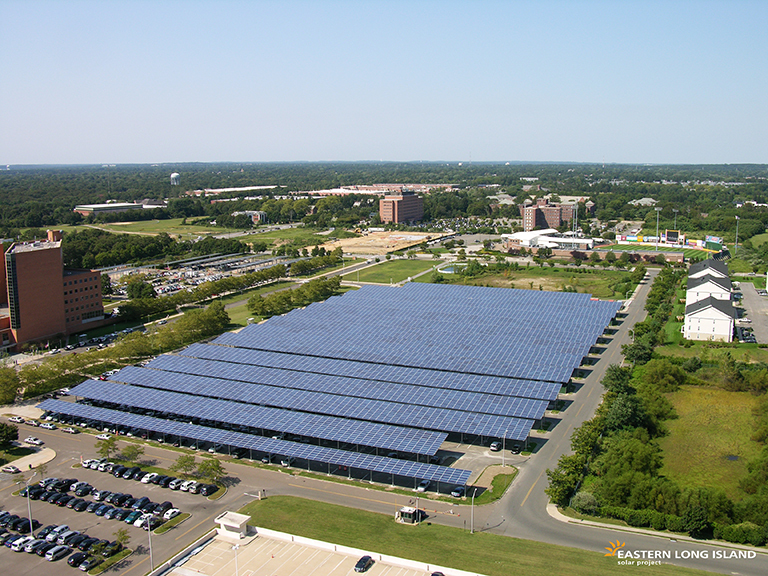 The Eastern Long Island Solar Project(s) are located at seven parking lots owned by Suffolk County. 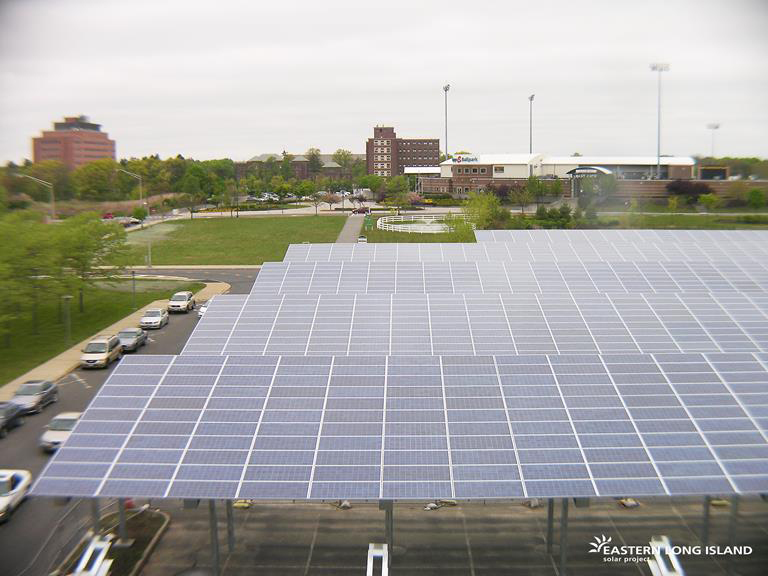 Solar parking canopies will be built to generate electricity and provide protection from the elements to the cars parked underneath. The first of these seven sites, the 0.84 MWp Brentwood site became fully operational in December 2011. 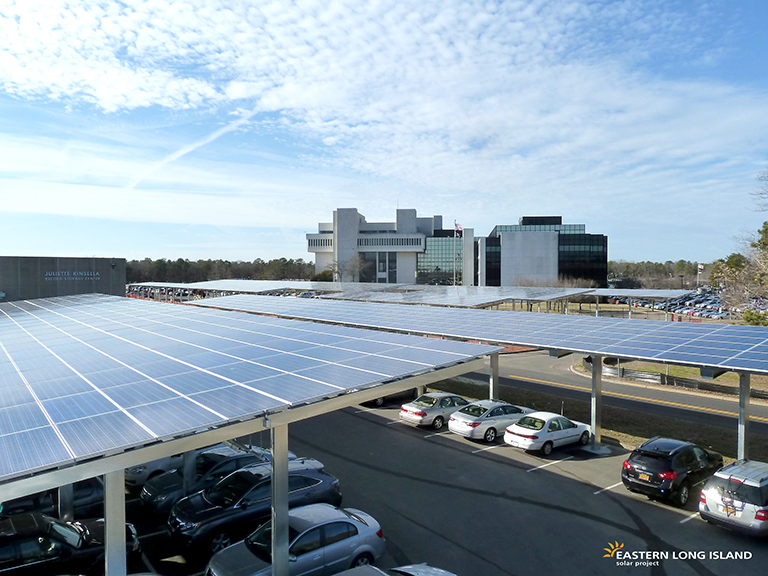 The solar power generated will be delivered to the Long Island Power Authority through a 20-year Power Purchase Agreement. During the design, engineering, and construction phase, each site will employ approximately 30 local workers and generate millions of dollars in local investment. Because the project areas are located on existing parking lots they cause no disruption to the local environment. This further displays Solar PV’s remarkable ability to have highly efficient combined land uses. Additionally, the project will generate positive environmental effects such as mitigation of the heat island effect and facilitate the larger goal of fighting climate change by offsetting the need for electricity generated from fossil fuels which emits significant amounts of air pollutants and greenhouse gases. The project is consistent with the objectives of the New York State Environmental Quality Review Act (SEQRA), compliant with all county required permits and guidelines, and compatible with Suffolk County’s long-term parking plans and day-to-day commuter use.